Cyclotosaurus skull. Dinosaur fossil replica. UC Berkerley. 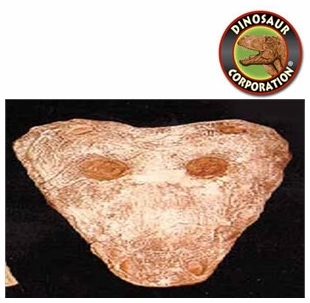 Cyclotosaurus (means round eared lizard) is an extinct genus of temnospondyl within the family Mastodonsauridae. It was of great size of an amphibian, reaching 3 - 4.3 meters (9-14 feet). Cyclotosaurus are thought to have been semi-aquatic carnivores.